The Nati Boys turn 1, as we celebrate the first anniversary of the podcast. We’re talking Cincinnati Reds and their three 2018 All Star Game selections. We also (finally) get around to the LeBron to LA news and what it means for the Western Conference, and as always, we mix in a few random tangents about nothing in particular. We wrap up the show with a fantasy draft of gift ideas for the podcast in honor of our first birthday. Should the Lakers Retire #8 or #24? The Lakers will reportedly retire Kobe Bryant’s jersey in December this year, before the Golden State Warriors game. This is something that is obvious to even the most novice NBA fan. After 5 Championships, 2 NBA Finals MVP awards, NBA MVP, 18 All-star selections, 2 scoring titles, etc. etc. etc., it was a foregone conclusion that the Lakers were going to retire his number. 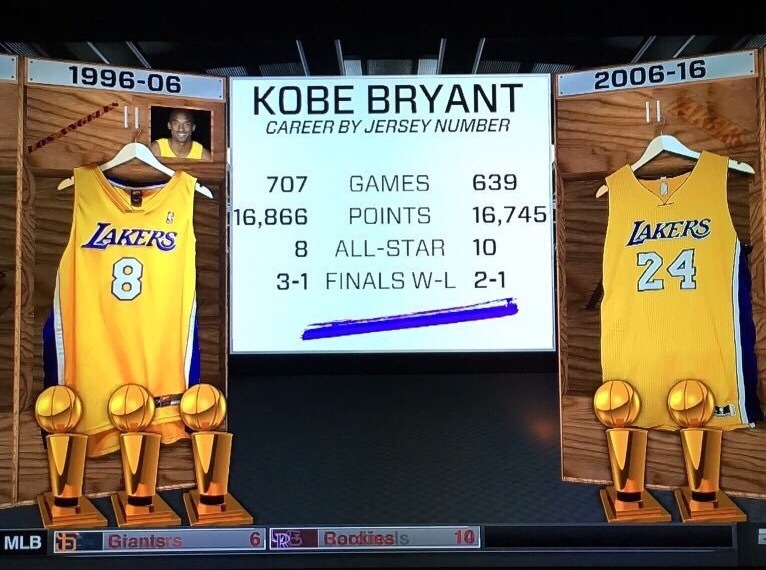 There’s just one problem; for 10 seasons, Kobe wore #8, and for another 10 seasons, Kobe wore #24. The first weekend of college football is in the books, and the Nati Boys recap some of this past weekend’s action. We have an update on the Lakers tampering case and the Ball family is back in the news once again. We discuss some of the surprise cuts, or lack thereof, made by the Bengals this weekend as we prepare for Week 1 of the NFL season. We honor Joey Votto with the coveted Nati Boys “Good Guy Award”. Finally, we wrap up the episode with a fantasy draft of some of our favorite upsets from the sports world and beyond. On today’s episode we recap the Bengals’ second preseason game and find a few bright spots in an otherwise dismal Reds season. We talk about a couple of struggling Yankees players as well, and we touch on the news of Anquan Boldin’s retirement from football. We find out that DB’s Lakers are nothing but a bunch of cheaters and we discuss Lebron’s future in Cleveland. Finally, we do our part to raise awareness of the injustices suffered by sports officials everywhere with our fantasy draft of memorable blowups on referees and umpires.